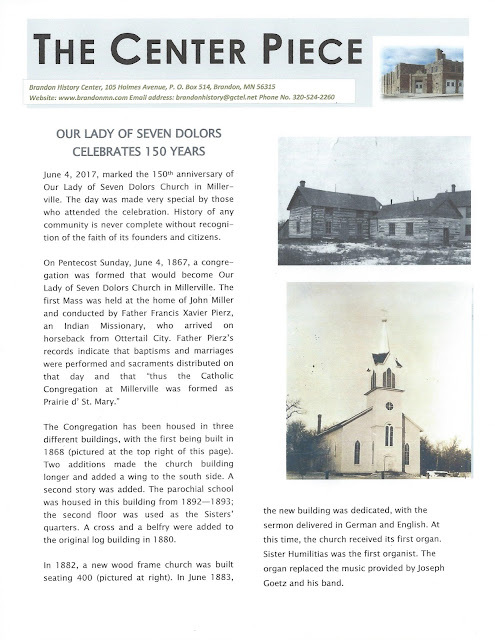 Penny Miller My great grandfather, Joseph Hopfner, Sr, walked from his farm in Millerville Township to work on the railroad being built through Brandon. He did this to earn money for a yoke of oxen. 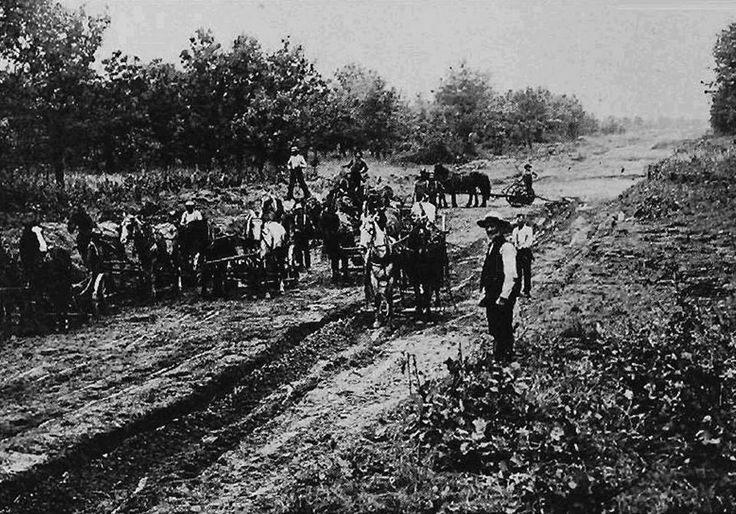 Horses were used to help lay the railroad tracks. 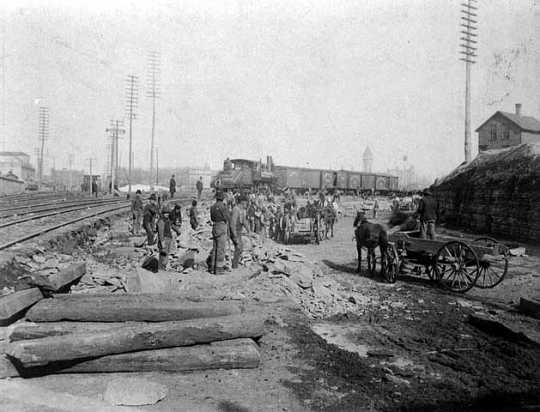 Railroad track timbers, horses and laborers can be seen in this photo. 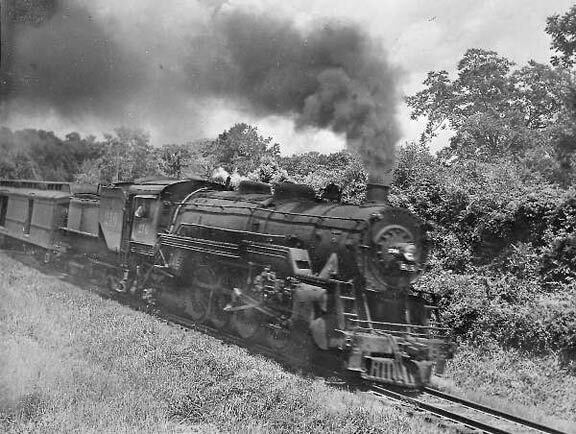 Old time steam engine with the train crew. 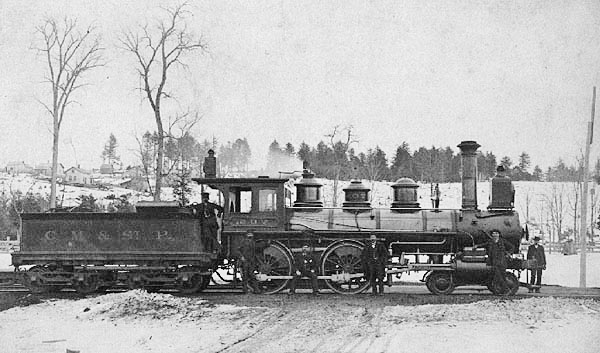 The St. Paul and Pacific Railroad reached Alexandria in the fall of 1878 , where it paused on its journey westward until the spring of 1879. 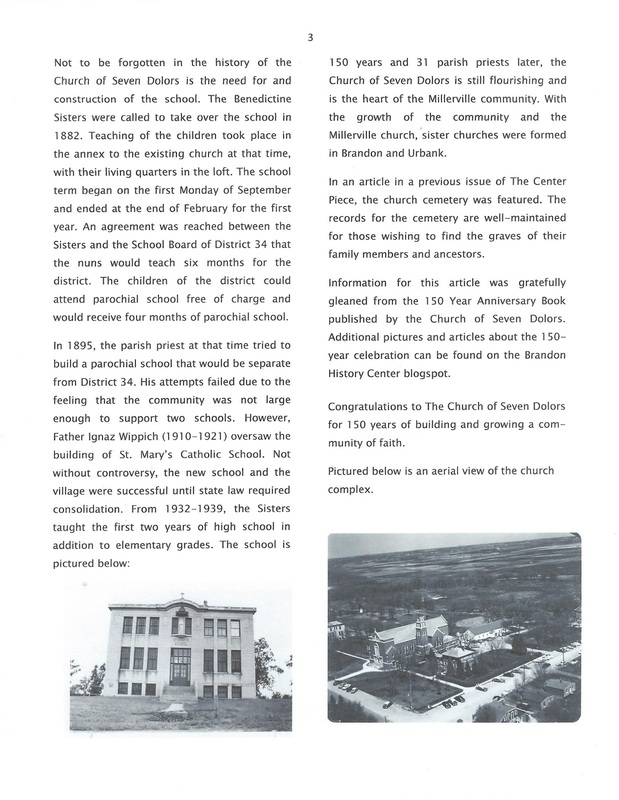 These were exciting times for folks in Douglas County. Their lives would be changed forever because of the railroad and everyone knew it. 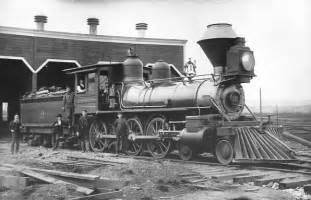 In 1879 the train reached what today is Garfield, Brandon and Evansville, and by year's end stretched all the way to a point just east of the Red River Valley at Fergus Falls, where it linked up with another line to complete the railroad to Manitoba, Canada. 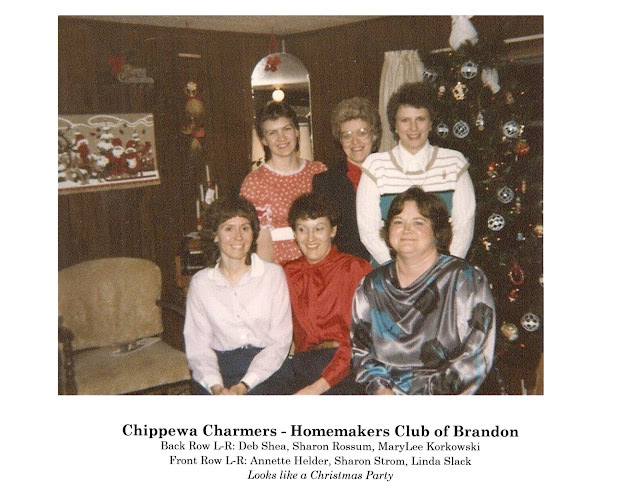 Perhaps the greatest impact the coming of the railroad had upon a single community in Douglas County was in the Township of Chippewa, where the small village of Brandon had been platted 10 years earlier at the juncture of Sections 4. 5, 8 and 9. 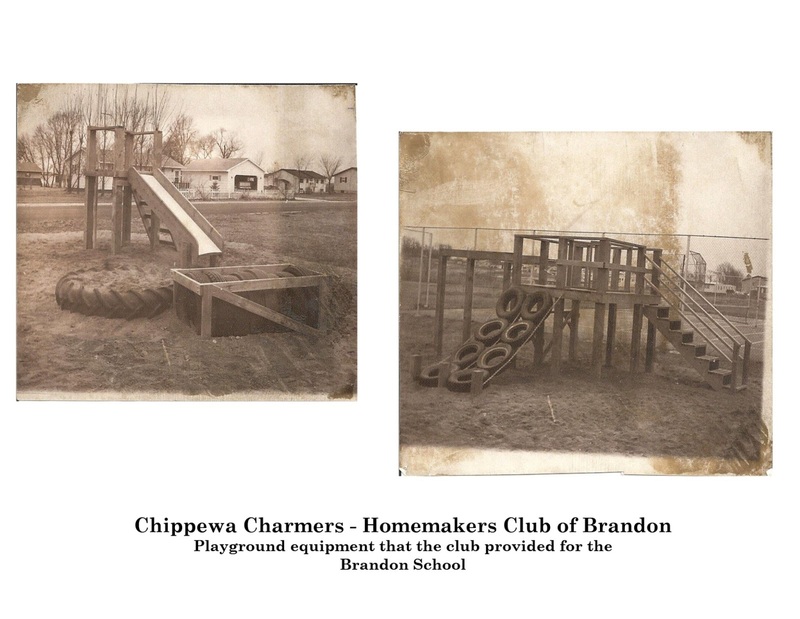 The new village included Chippewa Station. 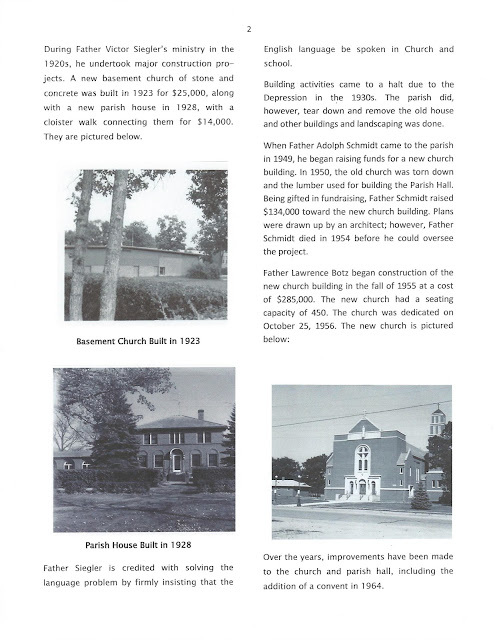 In August 1879 the railroad engineers selected Section 21 as the site of the railroad station or depot in the area, 2 1/2 miles to the south. 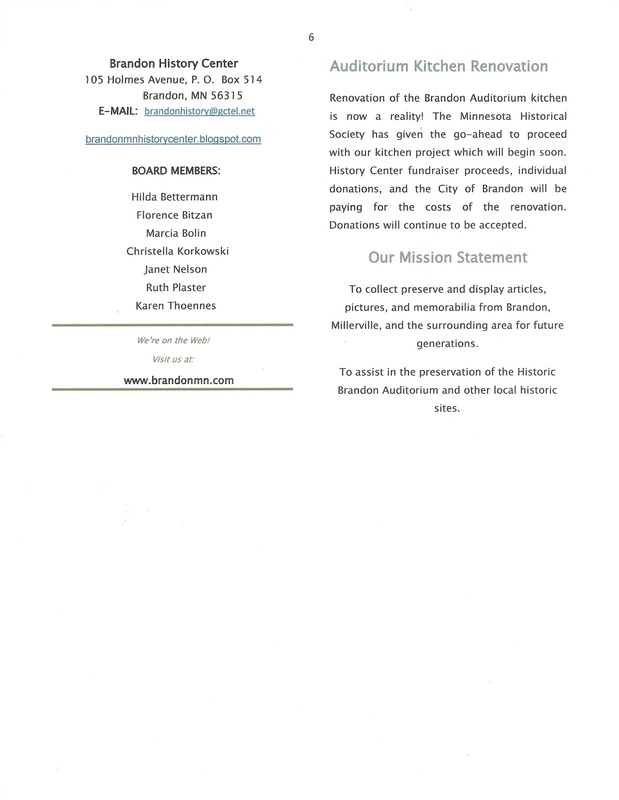 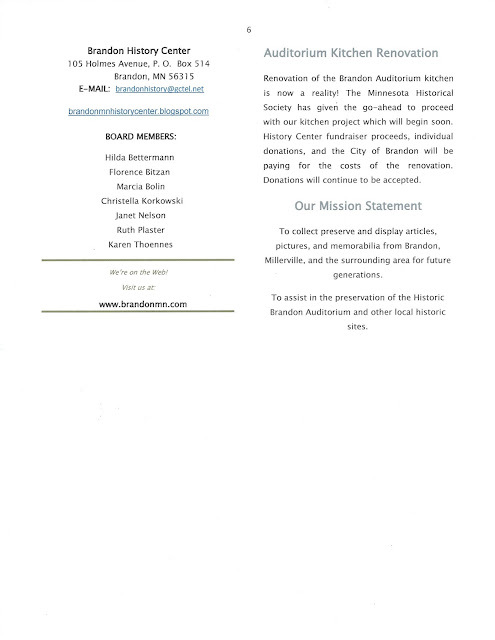 Because the center of trade in the township would shift to the vicinity of the railroad depot, the original village of Brandon was abandoned or moved "lock, stock,and barrel" to the railroad, where the City of Brandon stands today. 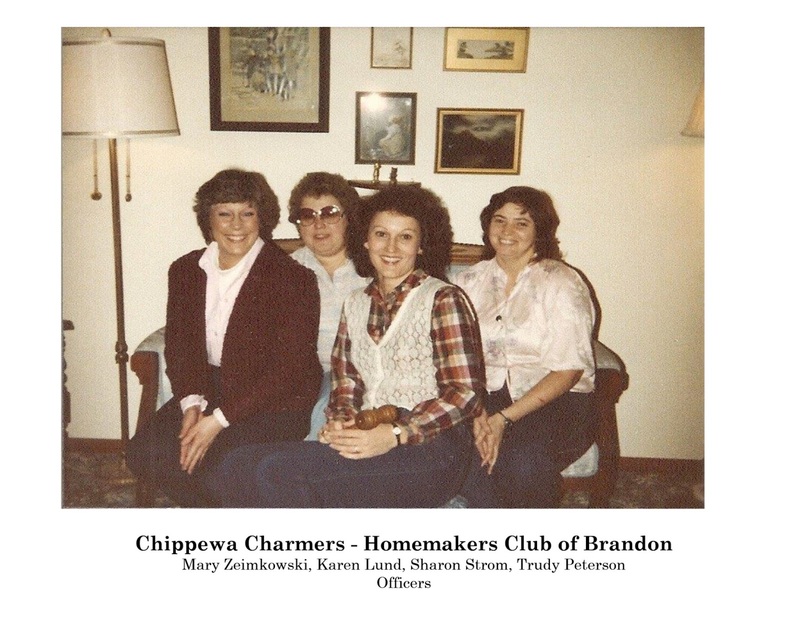 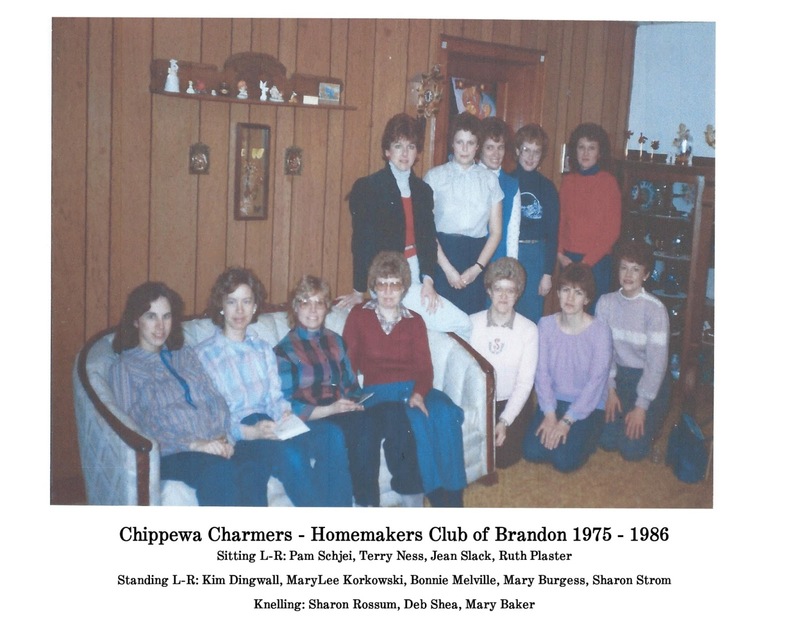 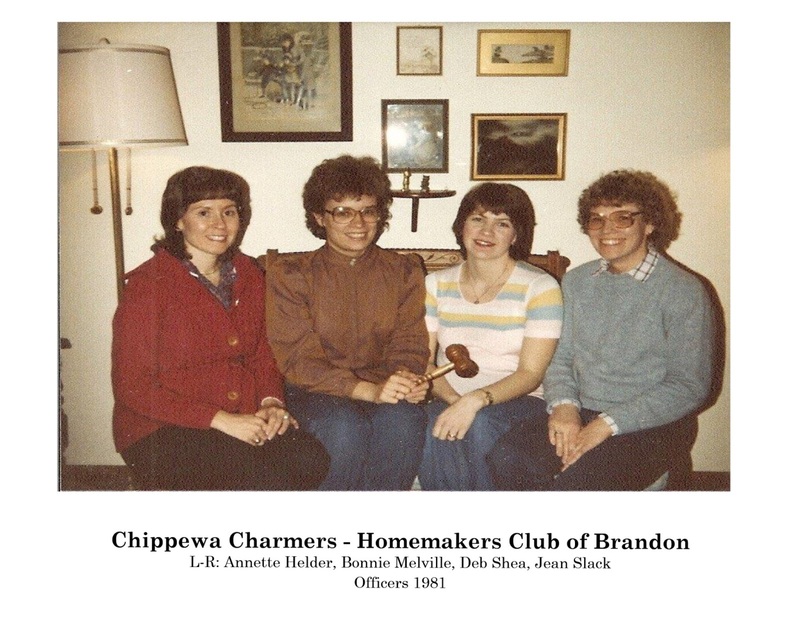 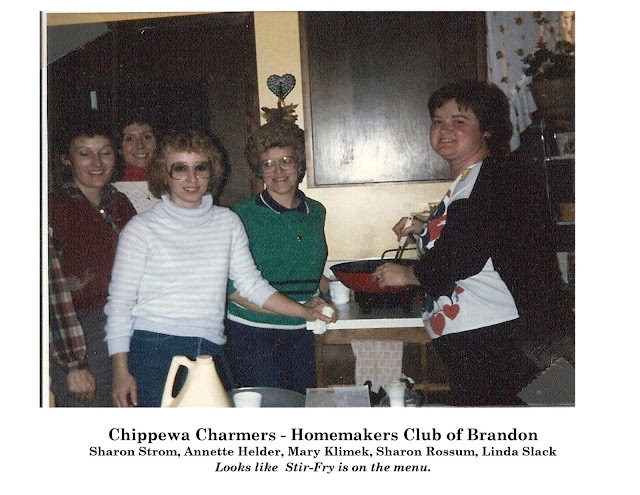 These photos come from the Homemakers scrapbook which can be seen at the Brandon History Center. 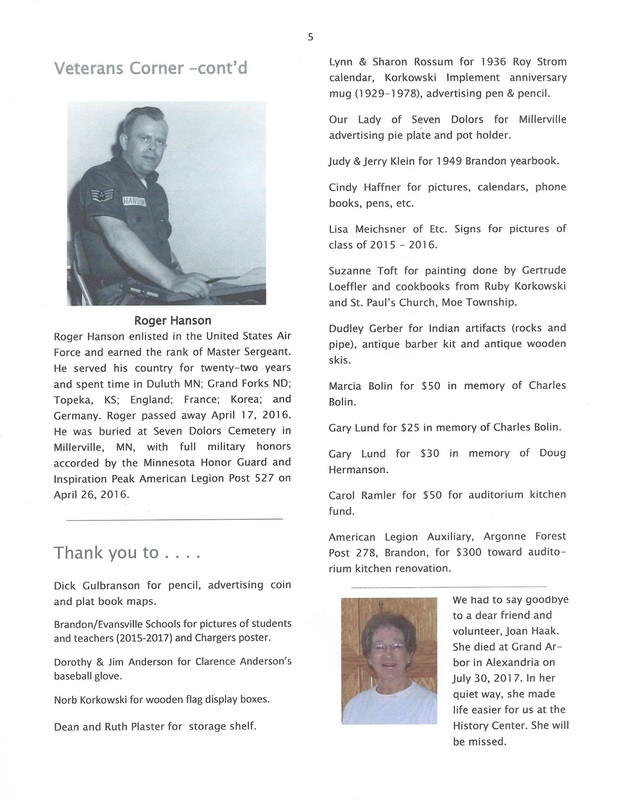 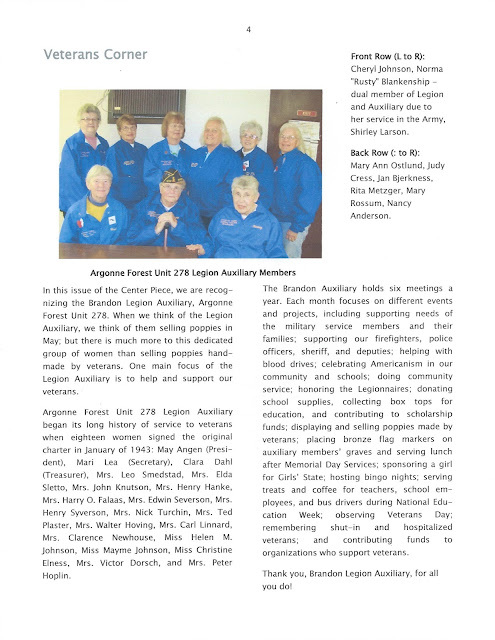 It includes information on all the the services that they provided for our community.